The plaza has been a defining feature of Mexican urban architecture and culture for at least 4,000 years. Ancient Mesoamericans conducted most of their communal life in outdoor public spaces, and today the plaza is still the public living room in every Mexican neighborhood, town, and city--the place where friends meet, news is shared, and personal and communal rituals and celebrations happen. The site of a community's most important architecture--church, government buildings, and marketplace--the plaza is both sacred and secular space and thus the very heart of the community. 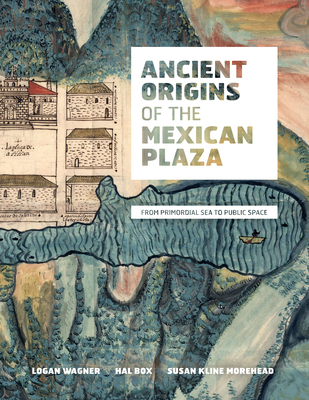 This extensively illustrated book traces the evolution of the Mexican plaza from Mesoamerican sacred space to modern public gathering place. The authors led teams of volunteers who measured and documented nearly one hundred traditional Mexican town centers. The resulting plans reveal the layers of Mesoamerican and European history that underlie the contemporary plaza. The authors describe how Mesoamericans designed their ceremonial centers as embodiments of creation myths--the plaza as the primordial sea from which the earth emerged. They discuss how Europeans, even though they sought to eradicate native culture, actually preserved it as they overlaid the Mesoamerican sacred plaza with the Renaissance urban concept of an orthogonal grid with a central open space. The authors also show how the plaza's historic, architectural, social, and economic qualities can contribute to mainstream urban design and architecture today.